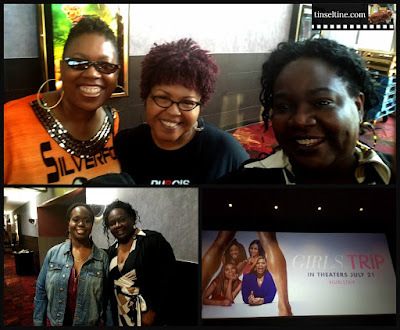 I first saw the trailer for Girls Trip back in like February or March and thought it looked pretty good and in addition to the known cast of Jada Pinkett Smith, Regina Hall and Queen Latifah, I saw it had the team of super producer Will Packer (THINK LIKE A MAN, Ride Along, ALMOST CHRISTMAS, STRAIGHT OUTTA COMPTON and many more) and the talents of director Malcolm D. Lee (The Best Man and THE BEST MAN HOLIDAY) but still I worried that the movie would fall flat, that it wouldn't have cross over appeal both to other races and to men, that it wouldn't be funny. Then last month I saw its white predecessor ROUGH NIGHT, (which I enjoyed) take a big tumble and never find its audience. 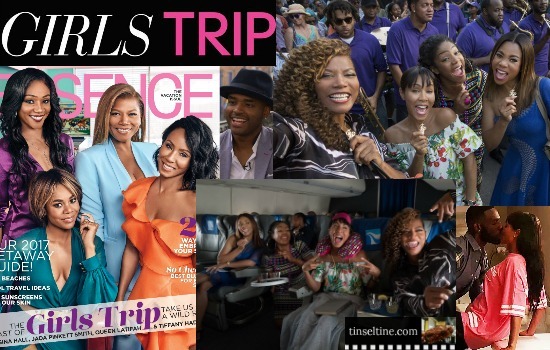 So again, I thought does this mean bad ratings for "Girls Trip" too? 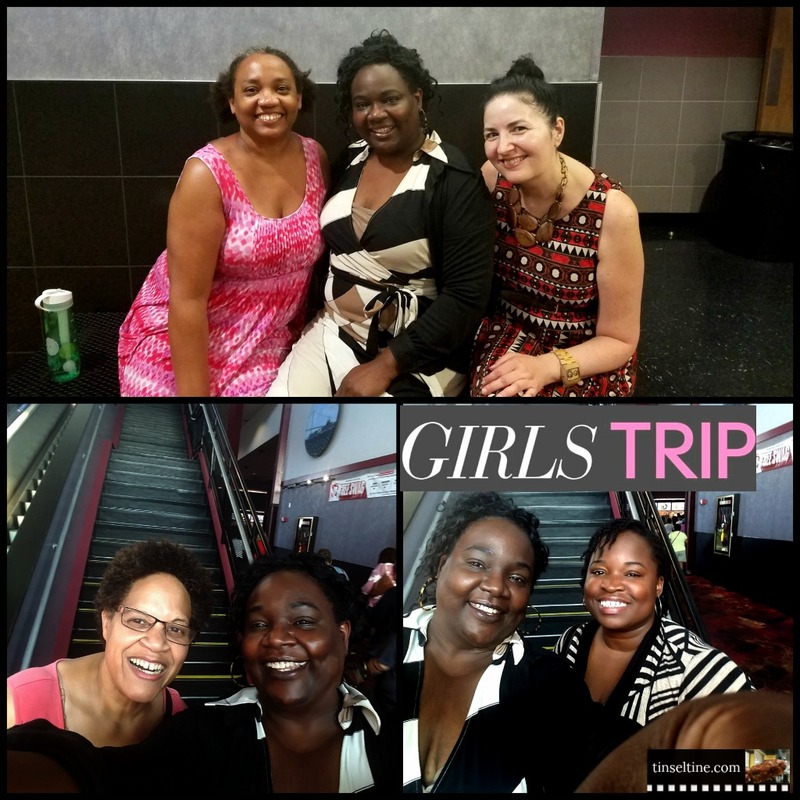 But I am so happy to report Girls Trip according to opening weekend box office totals as of Sunday (7/23) 9pm is in second place (behind Christopher Nolan's Dunkirk) with a strong estimated $30.4 million total and a 89% Fresh on Rotten Tomatoes by both critics and audiences! LeVonne Lindsay, Diane Roka, Diane Tillman, Desarrie McDuffie, Karen Gill w/ guest and Alacia Maxton... WE ALL LOVED THE MOVIE! The other thing I love is watching both Tiffany Haddish & Jada Pinkett Smith, one on Jimmy Kimmel the other on Jimmy Fallon tell the Groupon New Orleans Swamp Tour story with Will Smith and a bunch of regular tourists. It's crazy that Jada's been rich so long she had no idea what a Groupon even was! Bottom Line: Girls Trip is raunchy, real, crazy fun, with enough laugh out loud parts you miss some the following dialogue, and it's relatable, cause who doesn't have that group of friends that you now mainly see on Facebook and Instagram, but you'd love to hang out with again, despite any past issues or old scores.